When you’ve finally decided to brine your turkey after considering the pros and cons, soaking it in a saltwater solution for a day might seem like a lot of effort to make. But there are real benefits to brining e.g. you’ll have your Thanksgiving guests clamoring for the secret of your tender, moist, delicious turkey and coming back for more next year. Gravy can only make up so much for a dry turkey and the discerning turkey eater can always tell that. So read on to find our quick, simple guide to turkey brine right here at Grills Forever. What is Brining and Why to Brine? Good question I hear you say, what is brine and why are we even bothering? Brine is simple: it’s salty water. Brining is soaking your turkey in that brine for a good few hours, even a day. Turkey brining makes the meat absorb water and the salt affects the muscle proteins, making them dissolve and making the meat juicy and tender. We’ve all eaten dry turkey and tried to smile as we chew that piece of breast endlessly, hoping it will moisten up enough to be swallowed. So a technique that makes turkey juicier and more tender would be good, right? This is the simple brine for turkey. Tried and tested, it’s a technique used for thousands of years because it works! Add a couple of cupfuls of kosher or coarse salt (never table salt) to a big pan or container full of hot water big enough for the turkey. Simple so far? 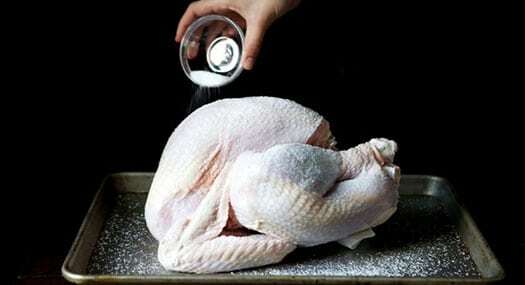 Let the salt dissolve and the let water cool, adding the turkey and cold water until the turkey is completely covered in the salt solution. Keep the solution cool, the fridge or an icebox is ideal. You don’t want to let the bacteria have a chance to start multiplying and poison your guests. This salty mix will slowly impregnate your turkey and draw moisture into the flesh so it won’t dry out. However, you want to cook your turkey this brining will keep it moist. 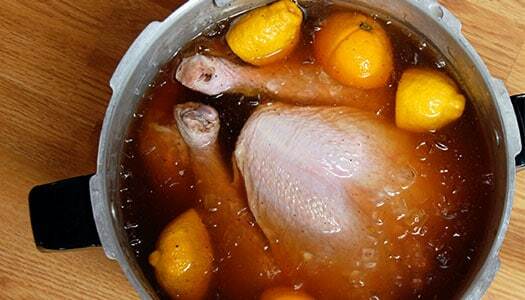 A frozen turkey can defrost in the brine at this stage but bear in mind it can take a day or two. Don’t worry too much about the amount of salt, there’s a guide below that will see you through. Take the turkey out in good time for cooking and rinse the wet turkey well before putting in the oven. 2. How to Make Dry Brine? As you might have guessed, this is like wet brining but without the wet. For dry brining turkey, rub your turkey with kosher salt above and below the skin and leave uncovered in the fridge for up to two days. Make sure to cover between the legs and if you’re squeamish, use a wooden spoon to lift up the skin and spread the salt around. You’ll have moist, tasty turkey this Thanksgiving. Check the guide below for how much salt to use, but just make sure you’ve given it a good coating. Kosher salts’ bigger grain size will make for extra bursts of flavor when you grill, rotisserie, fry, or roast that big bird. 3. How to Make Smoked Turkey Brine? There are a few recipes for smoked brine but this is my favorite smoking flavor. Smoking will really bring out the texture and flavors of the meat, as well as looking (and smelling) dead impressive. 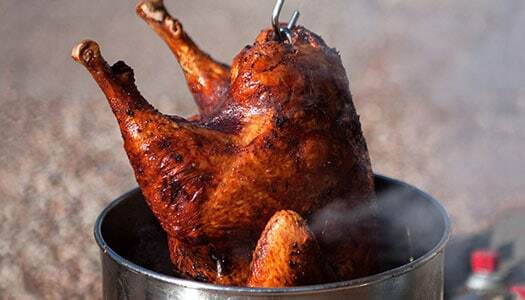 Experimentation is fun but this guide will guarantee results for a well-smoked turkey brine. Most of those ingredients, other than the salt, sugar, bay leaves and pepper can be left out if you don’t have them but the results won’t be quite as delicious. Aim for a ratio of 1 cup of salt to one or two gallons of water. Try add your own ingredients, you might have a secret family recipe that could add that extra oomph and make your turkey truly unique. Add all the ingredients to hot water and heat until the sugar has dissolved, take off the heat and let cool, adding ice to help it on its way. Add the cooled brine to a container, along with the turkey, making sure the bird is completely covered. Put in the fridge overnight or for up to 2 days. Take the turkey out, rinse really well and cook! 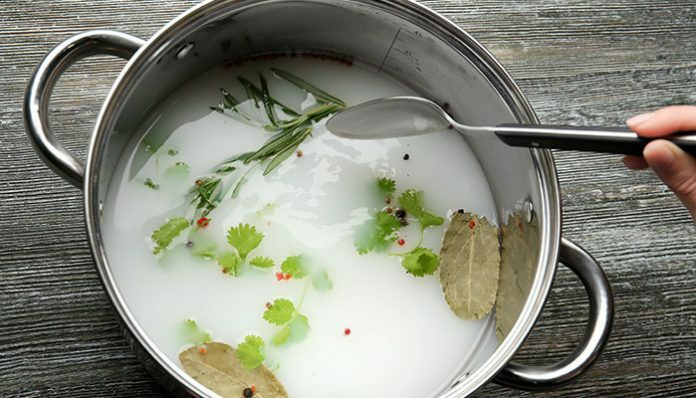 Which One is Better – Dry Brine or Traditional Brine? Both clearly have their advantages and neither is a clear winner, so it’s up to you to make the choice. One one hand traditional simple brining is quite messy and involves quite a lot of time (and timing), and the dry brine is quick and easy, but I think that wet brining keeps the meat extra juicy and tender. Some say that it can go a little spongy and the flavors can be lost a bit but I disagree, I’ve always had great results with both. Dry brining with extra flavors to get that smokiness is possible but the wet smoked brine wins every time in my kitchen. In short, yes. Just make sure it’s fully thawed before cooking. By combining thawing your turkey and brining it, you can kill two birds with one (salty) stone, if you’ll pardon the pun. Use a cooking thermometer to check the inside of the turkey to ensure it’s defrosted properly, then chuck that thing into the oven! These are rough guides, so don’t worry about being too exact. It all goes down the drain in the end! Kosher or sea salt really is recommended, it might take a little longer to dissolve but it will add an extra complexity to the flavor as the skin crisps in the oven and the juices caramelize. It’ll make for better gravy too. And what’s turkey without rich gravy to cover it in? You’re handling hot water and ovens, so of course, take care as you would with cooking anything. The turkey cannot reach above 40℉ during brining or bacteria will start to grow, so ensure the solution is cool before putting in the turkey. Use a food thermometer when cooking to check the meat is cooked through. Turkeys are big birds and can take some real cooking, so leave plenty of time. You should be well on your way to cooking super juicy, tender turkey for your friends and family with this guide. Just follow the advice and you’ll be fine. If it’s Thanksgiving and you’re the one cooking, do take care and have things prepared before everyone arrives. Remember you’re meant to be enjoying what’s important, not whether you’ve let the turkey thaw for long enough. Also see how to cook delicious ground turkey and try some some of our baked turkey recipes to satisfy your taste buds. Next article3 Tested Ways to Clean Your Big Green Egg Fast! Try One of Them Now! Must-Know Stuff About Your Turkey Fryer Oil! Read or Miss!